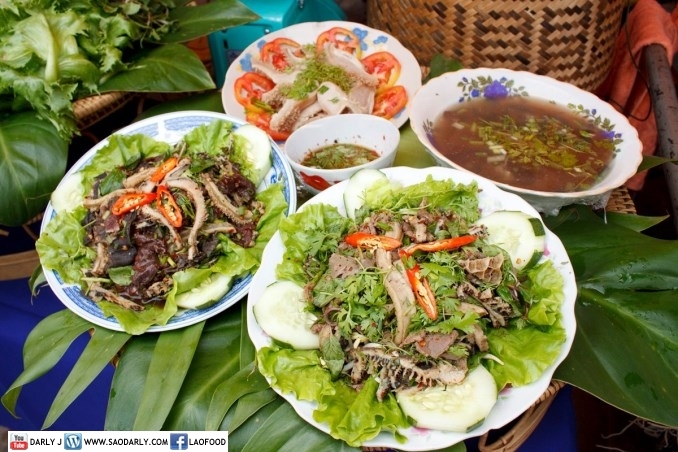 The annual Lao Food Festival will be held at the National Culture Hall in Vientiane, Laos from January 5-7. The event is organized by the Lao Business Women’s Association. There will be over 70 booths from Vientiane Capital, Vientiane, Borikhamsay, Savannakhet, Champassack, Khammouane, Sayaboury, Luang Prabang, Xiengkhouang and Houaphanh provinces to showcase cooking skills of Lao women from north to south. Lao Food Festival aims to promote Lao food as well as Lao handicrafts and food processing by using organic agricultural produce. Check out the photos from Lao Food Festival 2011 to get an idea of what the festival is all about. Also check out the various Lao handicraft products and other goods on display at the festival.